Since 2013, when I was invited to speak about biobanking economics at the Annual Biobank China conference in Shanghai, I have worked as a biobanking consultant and guest professor in China. My work there has involved working with Chinese researchers and students on biobanking infrastructure planning, as well as discussions and lectures concerning quality management, business planning, best practices, manuscript writing, biospecimen science, and the importance of biobanking in translational research and precision medicine and public health. In February 2015, a special Biobanking in China issue was published in Biopreservation and Biobanking.1 The issue included 11 original research articles concerning the history of biobanking in China, the development of ethical and regulatory guidelines, and a series of research articles concerning biobanking network development, information management, biospecimen methods development, and other biobanking initiatives. The article “Chinese Biobanking Initiatives,” by Gan et al., outlined the history of biobanking in China, starting in the early 1990s with the development of biobanks of cell lines, and leading up to recent major initiatives in biobanking centered primarily in Beijing, Shanghai, Shenzhen, and Taiwan.2 One current estimate is that the Chinese government invests about $100 million (650 million Chinese RMB) annually into biobanking and related initiatives, with additional funding generated by commercial biobanking enterprises. Although in the U.S. the total investment in biobanking may approach this number, biobanking in the U.S. is not part of a coordinated national initiative, and is more localized in multiple clinical, commercial, government (e.g., NIH), and academic centers. Since the publication of the Biobanking in China issue in 2015, the number and quality of papers submitted to Biopreservation and Biobanking by Chinese biobankers has increased dramatically. In 2017, the number of accepted papers from China was second only to that from the U.S. In the same year, in recognition of the number of submissions from China (as well as from South Korea, Japan, and Malaysia), we appointed Rongxing Gan, M.D., of the Shanghai Clinical Research Center, as asian editor, at the deputy-editor level. We also appointed a new section editor for biospecimen science, Junmei Zhou, M.D., Ph.D., of the Shanghai Children’s Hospital. Dr. Zhou has a particular interest in expanding her biobanking program into biospecimen methods research and the importance of studying preanalytical variables that may affect biospecimen quality. I am often asked to give presentations to students and postdoctoral fellows in China concerning writing and publishing papers in English-language journals. Note that Mary Ann Liebert, Inc. has produced a Chinese version (as well as versions in nine other languages) of “Guidelines for Writing a Research Paper for Publication.”3 Chinese biobankers also publish many biobanking-related papers in a variety of Chinese and English-language journals, including Science and Nature. The above discussion of biobanking in China from my perspective as a journal editor corresponds to my five years of experience in advising various academic and commercial biobanking operations in Shanghai, Changsha, Shenzhen, and Beijing. I have visited biobanks that have been newly developed, as well as those that are older and in need of upgrades. In terms of biobanking leadership, I have met many pathologists, biochemists, and other basic and clinical researchers who are very experienced and talented. Many biobankers and other senior research personnel have trained in China, but others, including post-doctoral fellows and clinicians, have trained in the U.S., Canada, and Europe. Upon their return to China, these scientists assume senior research and clinical positions. Biobanking leadership in China is often equivalent to that in the U.S. and elsewhere in terms of scientific expertise. Although there is a large governmental financial contribution to biobanking, and excellent leadership and scientific expertise, there is a lot of demand for information on biobanking best practices and standards. There is widespread interest in the International Society for Biological and Environmental Repositories (ISBER) Best Practices for Biorepositories4 and other international practices and standards. There is often a lack of comprehensive quality management systems, and the adoption of best practices can be inconsistent. However, this situation is not unique to China. There is also a lot of demand for and development of biobanking informatics systems and automation in China. For specialized biobanks, such as banking for cellular therapies, there is a need for information and implementation of accreditation programs, such as those offered by the AABB (formerly the American Association of Blood Banks),5 as well as a more fully developed set of safety standards. But there has been a lot of progress in recent years in adopting ISO (International Organization for Standardization) standards6 and College of American Pathologists accreditation for laboratories associated with biobanks. Note that ISBER is currently in the process of planning its 2019 annual meeting in Shanghai.7 Planning for the major symposia for the Shanghai meeting will include scheduling presentations and training concerning best practices and biobanking standards for cellular therapies. 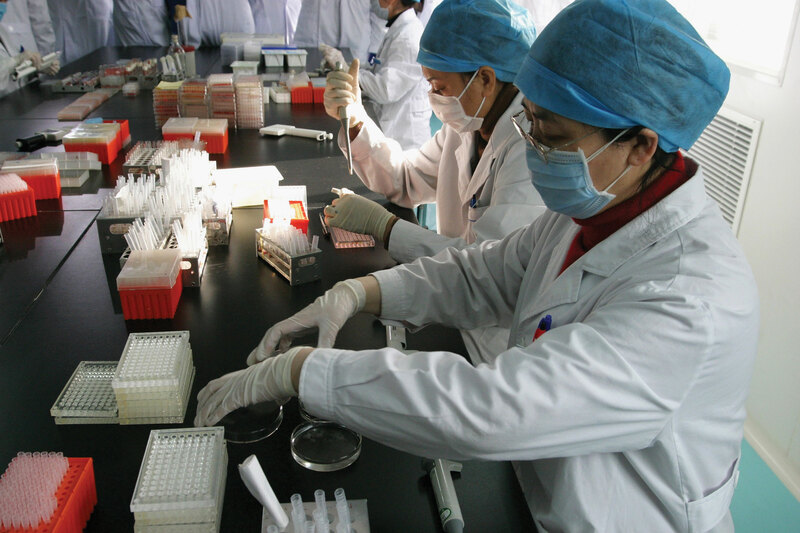 Biobanking in China has undergone an explosive expansion during the last 15 years. As is the case for other major projects, such as its high-speed rail system, the government has contributed a large amount of funding to biobanking and related research initiatives. However, there is still a demand for expertise and advice concerning best practices, quality management, patient privacy, intellectual property, sample and data sharing, biobank networking, and other issues that are more fully developed in, for example, the U.S. and Europe. Currently, there are several major indicators of the importance of biobanking in China. In addition to the Annual Biobank China conference, a major biobanking/biotechnology conference is held in the spring each year by the Biobank Branch, China Medicinal Biotech Association (BBCMBA).8 These two conferences each draw up to 1000 or more participants. And usually 50 to 100 Chinese biobankers attend and are invited to speak at ISBER annual meetings in the U.S. and elsewhere. The investments made by the European Union and individual European countries are the most fully developed in terms of biobanking networks and recognition of the return on investment into research infrastructure in general. In China, there is certainly a recognition of the importance of investing in research infrastructure and biobanking in particular, as noted above concerning government funding for biobanking. In terms of recent developments, one of the largest and most modern biobanks is within the China National GeneBank (CNGB), a commercial genomics company. Headquartered in Shenzhen, the CNGB is co-organizing the 2018 Annual Biobank China meeting in late November. The CNGB’s new billion-dollar headquarters opened in 2016. As noted on its website, “Stage I of the CNGB Biorepository stores more than 10 million traceable biosamples, including human, plant, animal, and microbes, and will establish international standards in biosample collection, storage, and management.”9 Xun Xu, Ph.D., is the executive director of the CNGB and is also a member of the ISBER board of directors, representing ISBER’s China Region. 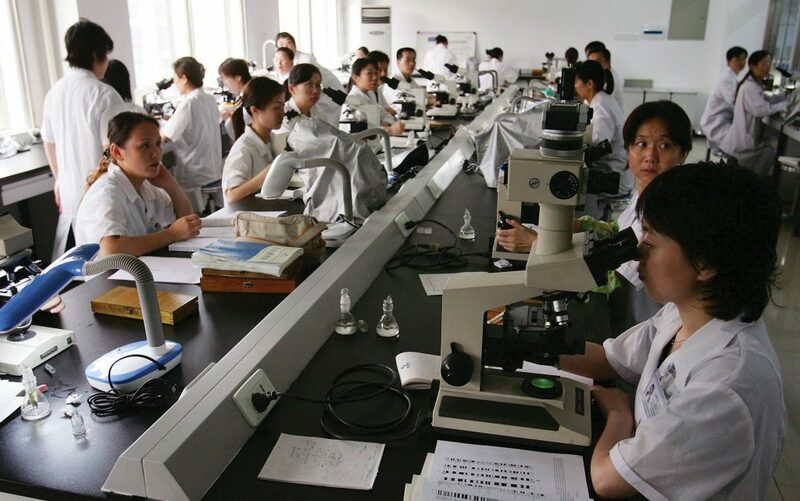 As more information is gathered and disseminated in China concerning biospecimen science, standard practices, and the importance of developing optimal methods for collecting, processing, storing, and sharing samples and data, Chinese biobankers will take their place among the leaders in the field. Jim Vaught, Ph.D., is editor-in-chief, Biopreservation and Biobanking, published by Mary Ann Liebert, Inc., and a guest professor at China South University, Changsha, China. 1. Biobanking in China. Special Issue. Biopreserv. Biobank. 2015; 13(1). 2. Gan R, Wang H, Song Y, et al. Chinese Biobanking Initiatives. Biopreserv. Biobank. 2015; 13: 4–7. 3. Fisher J, Jansen J, Johnson P, et al. Guidelines for Writing a Research Paper. Mary Ann Liebert, Inc., Publishers. 4. ISBER Best Practices for Repositories, 4th Edition. 5. AABB Standards and Accreditation web page. 7. ISBER 2019 conference in Shanghai. 8. BBCMBA Shanghai home page.